LinkedIn Corp. has joined the revolution. Today the company added support for programmatic advertising to LinkedIn Display Ads, which marketers will be able to access through third-party platforms such as Google’s Doubleclick and Adobe Media Optimizer. “Our goal with programmatic buying is to give our customers more flexibility in how they work with us, and expand the ways we can partner to meet their marketing goals,” Russell Glass, LinkedIn Marketing Solutions’ head of products, wrote in a June 28 blog post announcing the addition. Marketers interested in buying programmatic advertising – that is, automating the process of purchasing digital ads – on LinkedIn have two methods to choose from, Glass wrote: “Open Auction,” which allows companies to use “intent-based targeting” – i.e. their own customer data – or “LinkedIn Private Auctions,” which gives marketers access to both LinkedIn’s own “professional identity targeting” features (ex. “IT decision makers”), and the main website’s front page. Ads purchased are displayed in an IAB-standard format on the right side of users’ screens, where they can be seen by LinkedIn’s member base of more than 433 million professionals, including over 12 million in Canada. LinkedIn’s sudden support for programmatic advertising should hardly come as a surprise: though the company posted $154.1 million USD in ad revenue for the first quarter of 2016 – a 29-percent year-over-year increase – display ad revenue fell by 30 per cent and currently accounts for only 10 per cent of the company’s total ad revenue, according to its most recent quarterly earnings report. Meanwhile, programmatic ad spending in Canada is expected to reach $1 billion this year, according to eMarketer, representing 58 per cent of digital display ad spending. 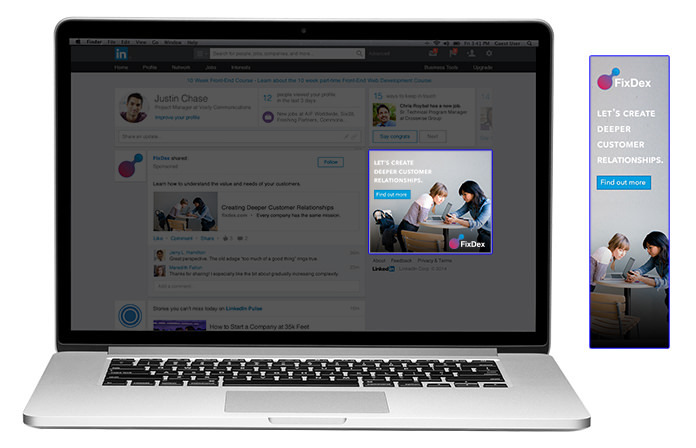 To learn more about LinkedIn’s programmatic offering, check out the company’s website here. Are HR and fintech the next business frontiers for virtual reality?